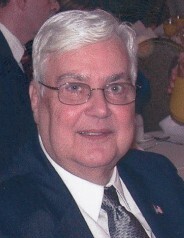 Obituary for Jerry Kelly | Bayonne Memorial Home, Inc.
Jerry Kelly, 74, passed away peacefully on Wednesday, June 13th at Newark Beth Israel Hospital with his wife, Dolores, by his side. Jerry was born in Bayonne and resided there all of his life. He was employed by Citibank until 1988 and Intercruises, as a ticket agent, after his retirement. Jerry was a heart transplant recipient in 1995. He was a member of the Concerned Citizens of Bayonne, Golden Agers, and Hearty Hearts, and and a past volunteer for the Sharing Network. He was also the Paver Chairman for the September 11th Bayonne Remembers Committee. Jerry was responsible for the placement of over 1700 pavers at Harbor View Memorial Park in Bayonne. Jerry was predeceased by his parents, John and Anna Kelly; brothers George, John, and Michael, niece Cheryl McGuckin, and sister-in-law Mary Brady. He is survived by his beloved wife of 51 years, Dolores; sisters-in-law Joan Kelly, Roseann Kelly, Frances Maratta (Sam), and Carol Hromnak; sister MaryAnn Adamkowski (Walter); his beloved nieces Dawn Maratta-Kielb (David), Michelle Maratta (Austin), and Jaime Maratta, niece/goddaughter Debra Adamkowski; and goddaughter Kari Woroniecki; and his “greatest gifts” great nephews Dylan Kielb, Brandon Serrano, and Evan Kielb. He is also survived by many nieces, nephews, great nieces and nephews, cousins and friends. Viewing will be held on Sunday, June 17th from 3:00 p.m. to 7:00 p.m. at Bayonne Memorial Home, Inc. A Funeral Mass will be offered on Monday, June 18th at 10:00 a.m. at St. Vincent de Paul Church. Entombment will follow at Holy Cross Chapel Mausoleum, North Arlington. In lieu of flowers, the family requests donations be made to the Sharing Network at 691 Central Avenue, New Providence, NJ 07974 (envelopes will be available at the Funeral Home).